Jenny Mankerian has been a reporter, editor and public relations specialist since 1997; for the past twelve years, she has utilized her writing, research and editorial acumen as a private tutor for students ranging from first grade to university-level, as well as for high school students preparing college applications and essays. Jenny received a master’s degree in Journalism from the University of Southern California’s Annenberg School for Communication in 2004. 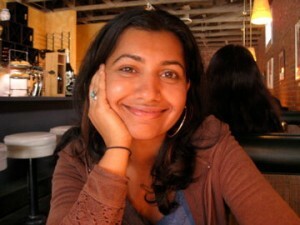 She completed her undergraduate work in 2000 at UCLA where she majored in English. From 2008 to 2009, Jenny worked at Sahag Mesrob Armenian Christian School, where she taught 10th, 11th and 12th grade English and History. As a native speaker of Armenian, as well as being fluent in Spanish, Jenny is a deft multi-lingual writer, editor and translator. Jenny makes her home in Pasadena, and enjoys reading, writing, cooking, traveling, going to museums and concerts, and sampling ethnic restaurants throughout Los Angeles. 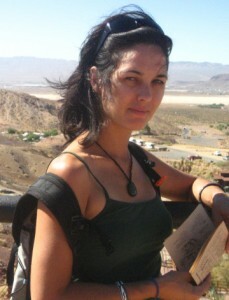 Simona Supekar was born in the Washington, DC, metropolitan area and made her way to the Midwest to attend Oberlin College, earning her Bachelors in both English and Anthropology. She loves nothing more than empowering kids with the love of reading and writing and spends most of her time doing those two things. As a former Teach for America teacher, Simona taught high school English and Journalism in Lynwood, California and continues to tutor at 826LA. 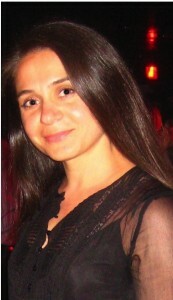 Simona earned her single subject credential in English from UCLA’s teaching program. After teaching, Simona’s love of language propelled her into a career as a copywriter, where she won awards for her work at stock photography company, Jupiterimages. Simona has worked as a fashion writer and editor for the MAGIC tradeshow and was head of communications at Shop.com, where she wrote everything from web and print copy to press releases and pitches. Currently, Simona is attending UC Riverside, earning her MFA in Creative Writing and Fiction, and has a novel in the works. Simona lives in Culver City with her husband and two cats and loves cooking, running, vintage shopping, and photography. Simona also loves traveling. In the last five years, she has spent time in Fiji, Costa Rica, Mexico, and India. Shortly after completing undergraduate degrees in History and Women’s Studies at Gettysburg College, Becky French began her career in education, teaching myriad courses to students with special needs in grades 9 – 12 in south Los Angeles through Teach for America. After five years of working individually with high school students requiring a range of extra support, Becky moved into assisting fourth and fifth grade students, where she continued to help struggling readers and writers gain more confidence in their abilities, one-on-one, both outside of and within the classroom setting. Becky has a clear understanding of the varying educational needs of students with disabilities, along with general education students, and the pedagogical practice necessary to address those needs. 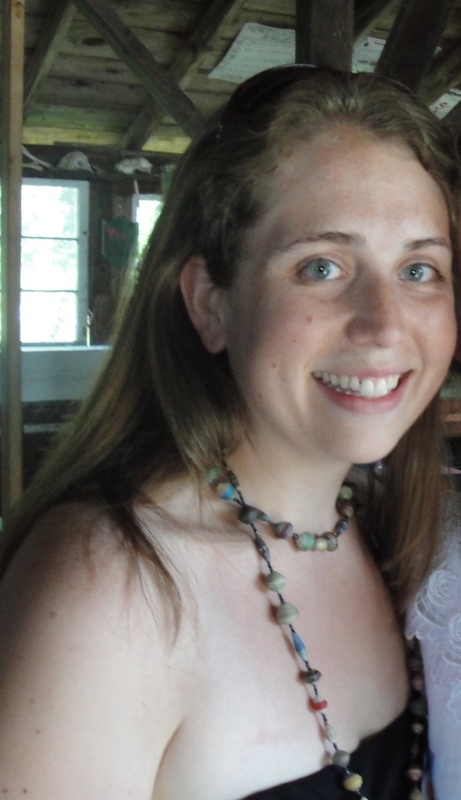 Becky recently left teaching full-time to finish her master’s degree in Public Policy at USC. She remains connected to the classroom by working with local schools as a substitute teacher for grades K-10, tutoring college athletes, and mentoring new Special Education teachers. In her free time, Becky enjoys reading, cooking, baking, and hiking. The daughter of California natives, Molly Arévalo was born in Puerto Rico, but grew up mostly in Rockford, Illinois. As soon as she could, she returned to her parents’ home state to attend college at UC Santa Cruz. After graduation, she spent a year living and working in Chile, an experience that steered her towards a career in education. In 2001, she joined Teach For America’s Rio Grande Valley corps in South Texas. Subsequently, she spent seven additional years as a bilingual elementary and adult ESL teacher. In 2008, Molly was chosen as one of ten educators to participate in the Fulbright Teacher Exchange Program in Uruguay. 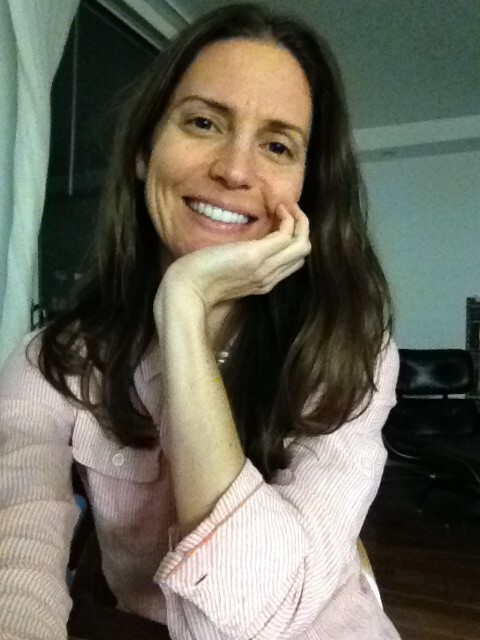 For several years after, she tested the non-profit waters as the Recruitment and Placement Director of the Los Angeles Urban Teacher Residency, but found that she missed working directly with students and their families, so she has since returned to the classroom as an elementary Spanish teacher at the Wesley School in Studio City. Molly is an avid cyclist, exploring the city, state, and even other countries on her sturdy Bianchi touring rig. She is a determined advocate for cyclists’ rights and increased local infrastructure, and is a certified indoor cycling and bike safety instructor. 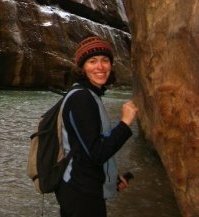 She is also an experienced backpacker and regular hiker, having completed courses in outdoor skills and wilderness first aid. She complements these sports with a regular yoga practice and occasional swimming. To fuel her active lifestyle, she enjoys cooking and seeking out the most delicious food in this incredibly diverse city. Contact her if you are in need of a restaurant recommendation! Gannon Daniels holds a BA in Communications from Eastern Michigan University, an MA in Professional Writing from University of Southern California, and an MFA in Education/Reading from California State University, Los Angeles. She has been an instructor for English and reading with the Los Angeles Community College District for twelve years and has also taught English at Glendale Community College. Gannon loves teaching and tutoring. In her eyes, so much can be accomplished in a one-on-one situation. From 2001-2005, she managed tutoring efforts at East Los Angeles Community College’s Writing Center Computer Lab. As a Los Angeles Writing Project Fellow, Gannon is firmly committed to the best practices for teaching writing and reading. She is always on the look out for new techniques and approaches to the often-common dilemmas of the contemporary student. Throughout her teaching career, Gannon has also taught creative writing workshops. She is a published poet and her plays have toured the Los Angeles Unified School District. Jacquelyn Wood was born and raised in Boulder, Colorado and a recent graduate of Loyola Marymount University (LMU) in Los Angeles, majoring in Communication Studies, with a Business emphasis. Because of Jacquelyn’s deep-seated love for both teaching and learning, she is dedicated to improving others’ academic aptitude and confidence, while she simultaneously benefits from the invaluable knowledge her pupils provide. In addition to her position at W.O.R.D. Ink, Jacquelyn was a writing tutor at LMU’s Academic Resource Center, where she coached, mentored, and provided one-on-one academic support to students, in order to help them develop the comprehension, skills, and self-esteem necessary to become independent learners and critical thinkers. Jacquelyn has acquired Levels 1, 2, and 3 Writing Tutor Certifications in College Reading & Learning. 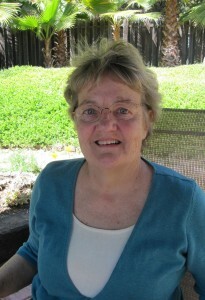 During her years at LMU, she held several leadership and academic honor member roles on campus. Jacquelyn has a passion for traveling, encountering new cultures, and experiencing different ways of life. She finds joy in playing sports, attending concerts, cuddling with her puppy, and scuba diving. 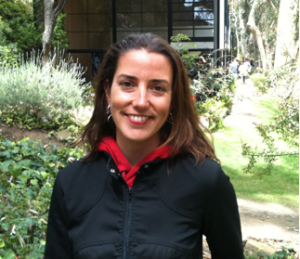 Sabrina Almeida has been a tutor for the past fifteen years, teaching everything from multivariable Calculus at MIT and SAT prep with Kaplan to Physics and Astronomy at USC and extensive test prep for middle school through post graduate levels. While attending MIT, in addition to tutoring on campus, she also volunteered at an elementary school, teaching computer skills to underprivileged kids. After earning a BS in Architecture and a minor in Film & Media Studies, Sabrina went on to graduate school. Sabrina worked as a teaching assistant for USC’s Department of Physics & Astronomy while earning her MFA from USC’s School of Cinema & Television. Since graduating film school, Sabrina splits her time between writing, production work, and tutoring. Math is Sabrina’s first love. She views the subject as an eloquent, universal language, and finds joy in teaching students how to solve problems in a myriad of ways, so that they become fluent in and comfortable using (and discussing) math. Plenty of elegant solutions exist, but “quick and dirty” approaches are also available and often more appropriate for timed-test situations. Sabrina delights in learning from her students and in discovering the nuances of how each understands abstract concepts. This, in turn, allows her to effectively communicate with each of her pupils. Rami Jandali grew up in Los Angeles and attended USC, where he studied Psychology and began his path to pediatric dentistry. He will be entering USC’s med school program this fall. 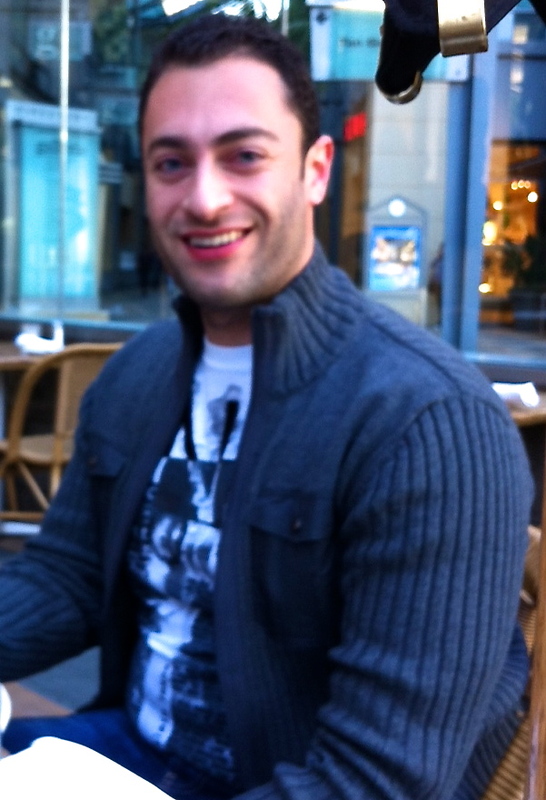 In Rami’s undergraduate days, he served as a teaching assistant in a myriad of subjects, ranging from the natural sciences to math and English. He’s also earned an MBA from the Keller Graduate School of Management and worked for a number of test prep companies. Along with tutoring for W.O.R.D. Ink, Rami currently teaches courses for Kaplan Test Prep. In addition to his diverse academic background, he is fluent in Arabic and French. Rami has a strong passion for teaching, describing his enjoyment as “an undeniable rush” when he’s in a position to facilitate students’ personal growth and understanding, and sees the look of accomplishment on their faces upon making such strides. Rami’s been involved in numerous community dental outreach programs serving the underprivileged populations of southern California and Ensenada, Mexico. In his leisure time, Rami enjoys playing sports competitively, including basketball and tennis, as well as painting in watercolor. Michael Belson spent his childhood and teen years growing up in the San Fernando Valley. From there, it was off to the Bay Area, where he completed his undergraduate studies at UC Berkeley, earning a degree in English in 2005. Upon graduation, Michael joined Teach for America and taught seventh and eighth grade reading and writing in the South Bronx, while earning his master’s degree in Secondary Literacy Education from Pace University. From 2007 to 2012, he taught sixth grade writing at Williamsburg Collegiate Charter School in Brooklyn, where he reflected with students daily on their individual challenges and continually guided them toward stronger writing skills. Aside from designing and developing the sixth grade writing curriculum, Michael also spearheaded the creation of the Collegiate Writing Oscars, an annual awards ceremony celebrating the works of middle school authors across Brooklyn. Michael has a passion for reading and writing. He loves books, and he especially loves high quality writing that reflects not only skill and mastery of the English language, but a depth of character and a unique perspective on life. Michael is committed to helping his students find their own love of words and stories and discovering and developing a competent and vibrant writer’s voice. Now back in Sherman Oaks, Michael is writing a middle grade fantasy novel, Quest for the Red Dragon. When he’s not teaching or working on his book, Michael sings in a barbershop quartet! Dr. Susan Kawell is an expert educator and a true crusader for children. She earned her BA in historyand journalism, her MA as a reading specialist, and her Ph.D in education. Susan loves children of all ages and has a particular passion for motivating and instructing students who find academics challenging. For the past fifteen years, Dr. Kawell has educated rising new teachers in early child development and elementary instruction of reading, writing, and science methods at CalState University, Los Angeles. During this time, she has also directed CSULA’s literacy resource lab and summer reading clinics for children, where students receive diagnoses and support for reading difficulties. Dr. Kawell personally trains clinic tutors on how to scaffold each student into overcoming his or her reading challenges, so that they become successful scholars. Prior to teaching at the university level, Susan taught reading to every level student from kindergarten to college for fifteen years. 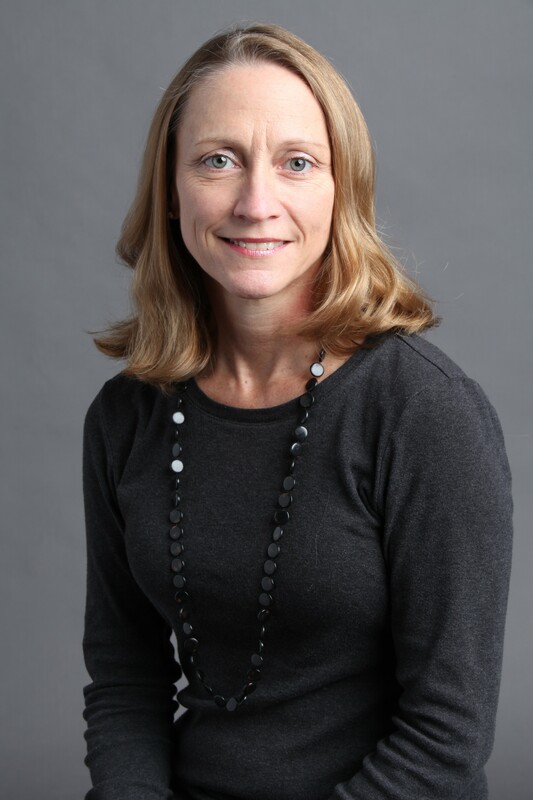 She has been awarded many prestigious service and scholastic awards over the years, including the honor of Christbridge Academy’s 1995 Outstanding Teacher of the Year, and she is actively involved in professional associations. In her leisure time, Dr. Kawell travels, reads, conducts research, and volunteers in educational outreach roles within communities around Los Angeles. She also enjoys writing in a range of genres. Susan has published several articles and presents at a wide variety of educational conferences. Rosanna Méndez Gonzalez was born in the Dominican Republic and raised in Madrid, Spain, where she earned her B.A. in Audiovisual Communications and a certificate in Methodology & Didactics of Spanish as a Foreign Second Language from the worldwide prestigious Instituto Cervantes. In 2006 Rosanna moved to Los Angeles to continue her studies in film production and English. She has been a Spanish and Hispanic Culture tutor with the Los Angeles Community College District for three years and has also taught Audiovisual Communications and Spanish to international students in several countries such as Peru, Bolivia and Spain. Additionally, Rosanna she has worked as a translator and subtitler for the National Captioning Institute. Rosanna believes great educators should promote the personal development of every student and help each “learn how to learn” in an independent way. She provides a “whole child” mentoring approach founded on encouragement, motivation, and engagement. 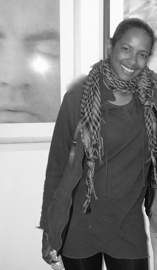 Rosanna has combined her passion for teaching with her professional career in film and digital culture. As a filmmaker and screenwriter, she has worked on many documentaries and short films, several of which have been awarded at prominent film festivals such as Cannes and The American Documentary Film Festival. Furthering her studies in film, she recently traveled to the School of San Antonio de los Baños in Cuba to participate in a workshop for writing and directing documentaries. Rosanna loves world music, classic and independent films, world history, dancing, and trying new recipes from different countries. Pilar Barberá-Orozco is originally from Alicante, Spain and holds a Master’s degree in Spanish as a Foreign & Second Language. Pilar is an adventurer and world traveler. She settled in Los Angeles after exploring the Amazon, traveling through Peru, and spending time teaching English as a Second Language to future official tour guides in Cuzco, as well as returning to Spain to teach English for adults in a project subsidized by the European Union. Since 2011, Pilar has worked for STAR Education, providing after-school Spanish courses to different schools in various districts around greater Los Angeles. Pilar prides herself on an outstanding ability to relate to youth, teens and young adults in any environment, whether within the construct of a school’s curriculum, or in small group or one-on-one support. One of Pilar’s greatest strengths as an educator is meeting each student’s unique needs by developing a personal understanding of each one of them. She achieves this by seeing and assessing the students as individuals and tailoring lesson plans to accommodate multiple learning aptitudes. Pilar’s lessons are dynamic; she does not simply teach from the book, but also applies her knowledge of cooking, technology, and handcrafts to truly bring Spanish culture to life. Jaya is proficient in French and tech savvy. She also has a breadth of creative experience, from writing proposals for film investors and coverage for scripts in development to overseeing administrative duties for film festivals and major real estate and architecture firms. In 2013, Jaya was a qualifying finalist for Mumbai Mantra Sundance Screenwriter’s Lab. Jaya’s passion for social justice, film, literature, and exceptional storytelling compel her to educate and motivate students to reach their academic and artistic potential. Dmitriy Banov was born in Kiev, Ukraine and ventured to the States at the age of thirteen. 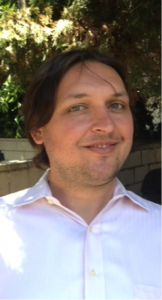 Soon after arriving, Dmitriy attended Palisades High school, where he quickly caught on to the spirit of mathematics and physics not only as a student, but also as a tutor. 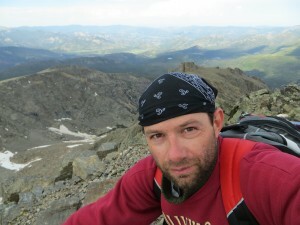 Upon graduation, Dmitriy decided to pursue a Bachelors of Science in electrical engineering at California State University in Northridge, where he has also learned C, C++, and Fortran77 computer programming languages. For the past seventeen years, Dmitriy has tutored high school and college level physics and math, including all levels of algebra, trigonometry, mathematical analysis, calculus, statistics, and ordinary differential equations. Alongside tutoring, Dmitriy coaches for the Southern California Aquatics masters program for adult athletes. 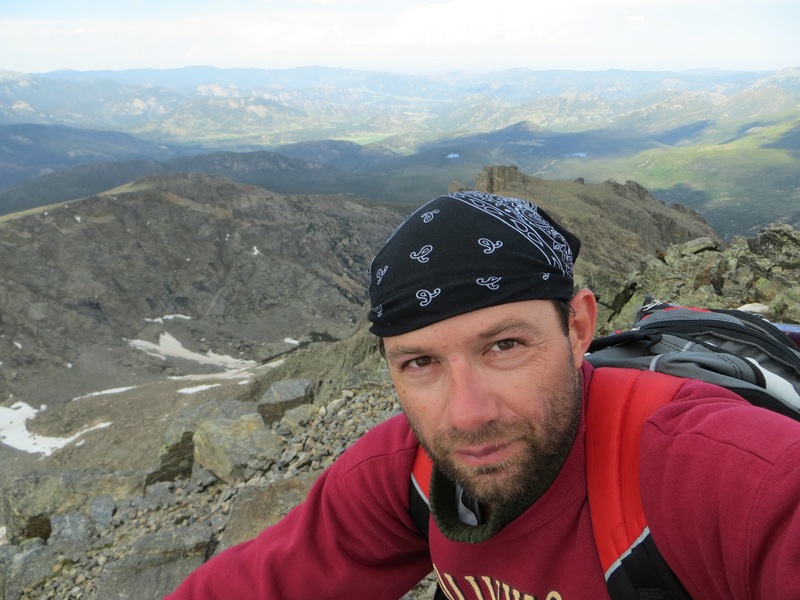 In his spare time, Dmitriy enjoys reading, weightlifting, hiking, kayaking, long camping trips to many American national parks, skiing, yoga, and tai chi. 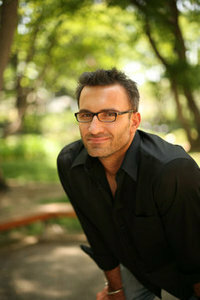 Garbis Bartanian is an educator, artist, writer, mentor, and all-around student of life. Garbis grew up in Beirut, Lebanon and began drawing since the day he could hold a pencil, brush or piece of chalk. At age nine, he apprenticed in a silversmith factory and, soon after, for a jeweler. Following high school, Garbis started his own business as a jewelry designer, while simultaneously taking classes at Toros Roslyn Fine Arts Academy, where he began his classical training period. Garbis then immigrated to the United States, where he continued his studies and also delved into Eastern philosophy, meditation and yoga. In the mid 90’s, Garbis turned his attention to digital graphic design, where he excelled in cell animation, hand-drawn special effects for animation, character design, and storyboarding. Since those days, Garbis has worked on numerous projects, from ASIFA Hollywood’s ANNIE Awards and storyboarding for ads and music videos to shooting and editing documentaries for non-profit organizations. In 2001, Garbis fell in love with education, when he spent two years at Dubnoff Center for Child Development and Youth Education in North Hollywood, and earned his teaching credential. Garbis discovered innovative ways to attract the attention of behaviorally challenged teens, while teaching them social and life skills, science, art, computers, English, math, and history in a loving environment. In the seven years that followed, Garbis quickly rose to the position of Senior Academic Advisor, multi-subject teacher, and Department Chair for Math and Sciences at Armenian Mesrobian, a K-12 school in Pico Rivera, where he also led the school’s WASC Accreditation process. Since 2010, Garbis has been a both a private tutor and academic management consultant to students and schools around Los Angeles. Through his expertise in various fields and his years of teaching all ages, he coaches students who struggle with both academics and life challenges. In addition, he works with parents through these challenges, showing them how to meet their children halfway, a middle ground cultivated through mutual respect and the establishment of realistic goals, that Garbis then helps families achieve. Having just recently returned from an inspiring six-month world trek focused on exploring a vast array of artistic and cultural histories, Garbis has now begun work on a new selection of paintings, several digital projects, and the concepts behind both a picture book and graphic novel. Alysa Rose Jaffe received her Early Childhood Education teaching certificate in 1996 and has been a Pre-K through second grade lead teacher, tutor, and after-school program coordinator over the past seventeen years. After two years teaching in Michigan, Alysa returned home to work for seven years at Temple Emanuel in Beverly Hills followed by eight years at Temple Israel of Hollywood. In addition to teaching, Alysa is also involved in a variety of social action organizations around the greater Los Angeles area such as Reading to Kids, Free Arts for Abused Children, Global Kindness, and Operation School Bell. Alysa’s goal as an educator is to enhance her students’ awareness of their place in the world and their ability to perform deeds of kindness. She aims to bring out her students’ individuality and nurture their self-expression in a safe, positive, creative environment. Alysa is a big proponent of hands-on, project-based learning, involving such activities as art, music, song, dance, sign language, food, storytelling, and games.